Happy Monday friends! Sorry I have been so MIA. I was sick and crazy busy with work two weeks ago and then I spent the last week at the beach. I really wanted to relax so I decided to put a pause on the blog while I was gone, BUT now i'm back in action. 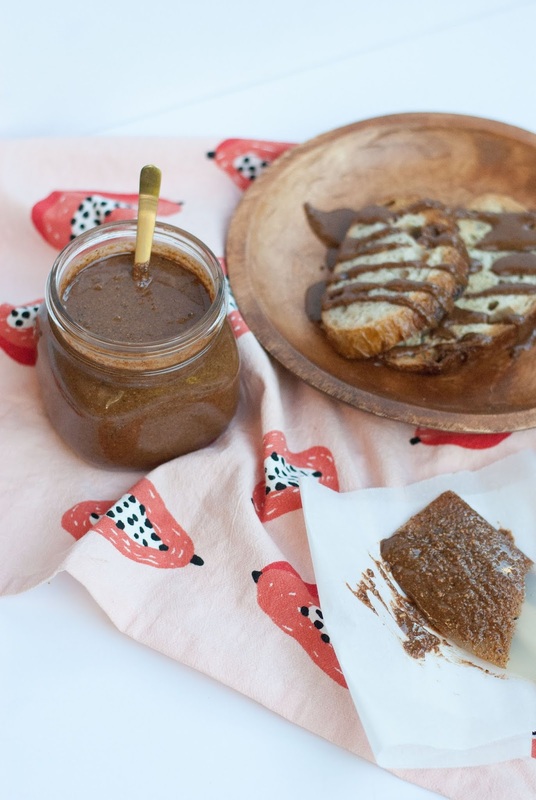 Today, I wanted to share a homemade Nutella recipe that I made over the weekend. It only has 4 ingredients and tastes delicious. I hope you enjoy! 1. Preheat your oven to 350°. Spread out the hazelnuts onto a single layer on a rimmed baking sheet. 2. Cook in the oven for 12-15 minutes and then take out and let cool for 5 minutes. 3. Pour the hazelnuts on top of a damp towel and roll them until a good amount of the shells come off. They won't all come off, so don't worry! 4. Place the hazelnuts into a food processor and process until a nut butter forms. 5. Add in the remaining ingredients and process until everything is combined. 6. Store in a sealed mason jar or tuber ware and place in fridge. Enjoy your guilt free Nutella!